Why do you seal Concrete? Read more: Why Seal Concrete? Why do you seal Brick Pavers? This is by far the most asked question that we receive regarding Brick Paver Patios, Driveways, Pool Areas, and Pathways. 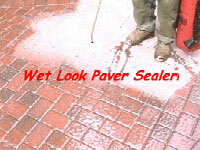 Read more: Brick Paver Sealing?